We organize horse trekking for single and groups in the Tuscany territory. For the moment we have started the programmes in the areas listed on the side, but each day we explore a new territory to propose to you. Those reported are some of the proposals that we have already realized, as daily excursions or for several days to immerse oneself in the panoramas which are difficult to see from the traditional road routes, surrounded by nature and the characteristic hamlets of Tuscany. Here is our classical ride of 2 days where we let you know the Sienese Chianti area and part of the Crete area, two days not to miss. E’en thus the margin which surrounds the well..."
A panoramic trip of two days along the crest that divides Chianti from Valdarno. 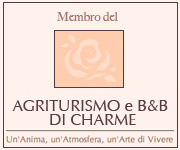 Overnight in agriturisms.